Researchers: Kaihua Ding, China University of Geosciences, Wuhan and University of Alaska Fairbanks; Jeffrey T. Freymueller, University of Alaska Fairbanks; Qi Wang, China University of Geosciences, Wuhan; and Rong Zou, China University of Geosciences, Wuhan. Analysis of GPS observations before, during and after the 5 January 2013 Mw 7.5 Craig earthquake show that slip during the earthquake averaged about 6 meters. After the earthquake there was substantial deformation over 1.6 years. The post-earthquake deformation may be related to slip on an adjacent segment of the fault to the southeast of the main event. 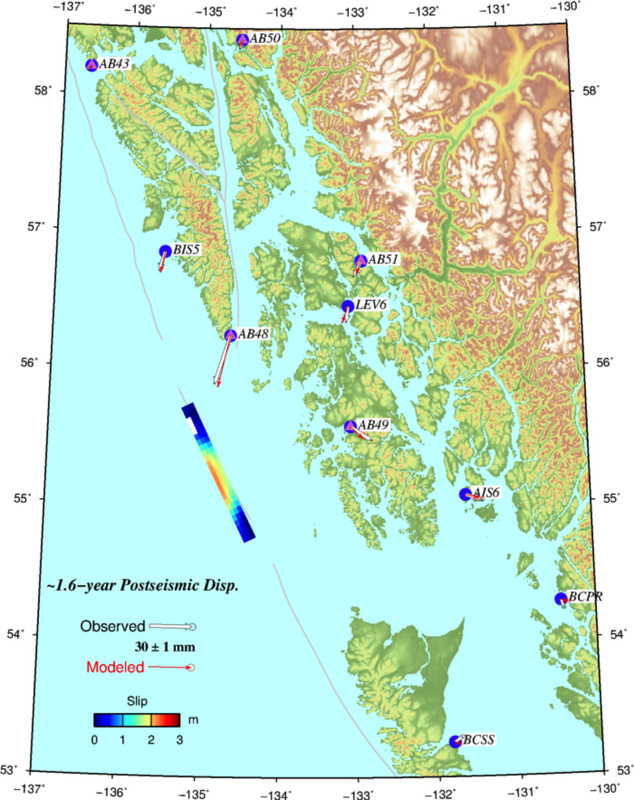 The analysis suggests that the Craig earthquake accounts for slip on a segment of the fault that did not rupture in a 1949 earthquake to the south or a 1972 earthquake to the north. Thus the Craig earthquake fills a gap and helps to account for plate motion between the North American and the Pacific plates. 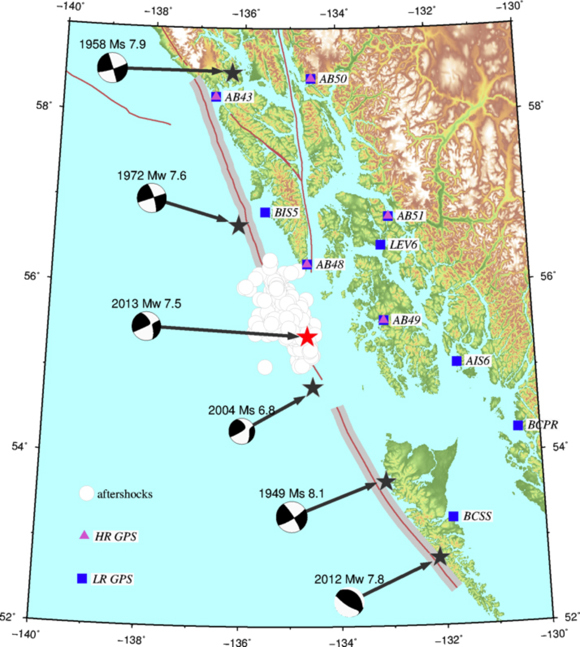 The 5 January 2013 Mw 7.5 Craig earthquake occurred offshore of the coast of Alaska about 113 kilometers west of Craig, Alaska. The event happened on the Queen Charlotte fault, which is the primary strike-slip fault that denotes the boundary between the Pacific and North American plate in this area. 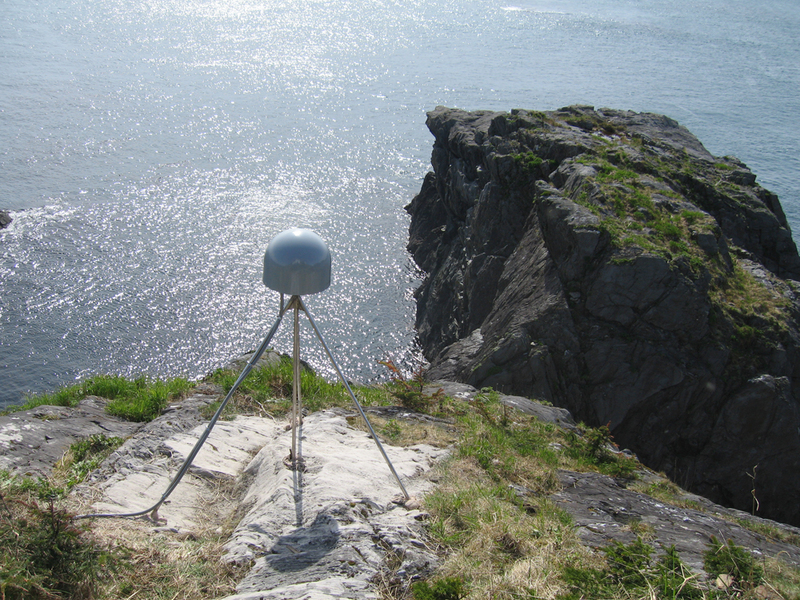 GPS stations from the EarthScope Plate Boundary Observatory (operated by UNAVCO), the U.S. Coast Guard and the province of British Columbia, Canada recorded the land-based surface motions related to the earthquake and post-earthquake response. Analysis of the static (low-rate with 30 second sampling) and kinematic (high-rate with 1 second sampling) GPS data tracks the deformation during and after the earthquake. The average slip during the earthquake was 6 meters and there was little slip (i.e. about 2 millimeters) in the 4 days after the event. Over 1.6 years after the earthquake, there was substantial post-earthquake slip of about 30 millimeters and this slip is located to the southeast of the primary earthquake slip. This suggests that there was slip on an adjacent section of the fault along the strike-direction of the fault. Kaihua Ding, Jeffrey T. Freymueller, Qi Wang, and Rong Zou, Coseismic and Early Postseismic Deformation of the 5 January 2013 Mw 7.5 Craig Earthquake from Static and Kinematic GPS Solutions, Bulletin of the Seismological Society of America, Vol. 105, No. 2B, pp. 1153–1164, May 2015, doi:10.1785/012014017.